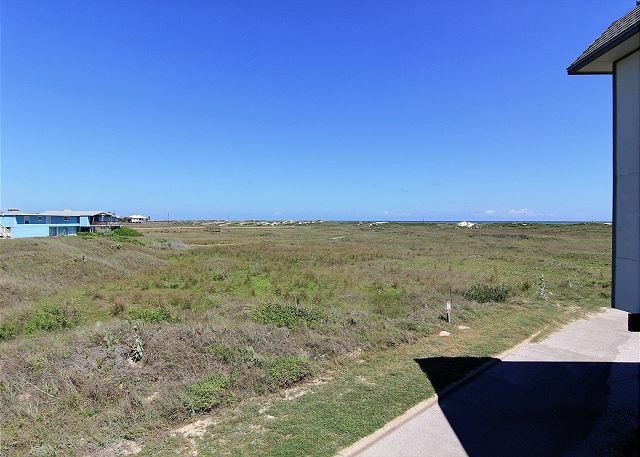 All Units have Gulf Views! Depth 3' - 5' perfect for swimming laps! 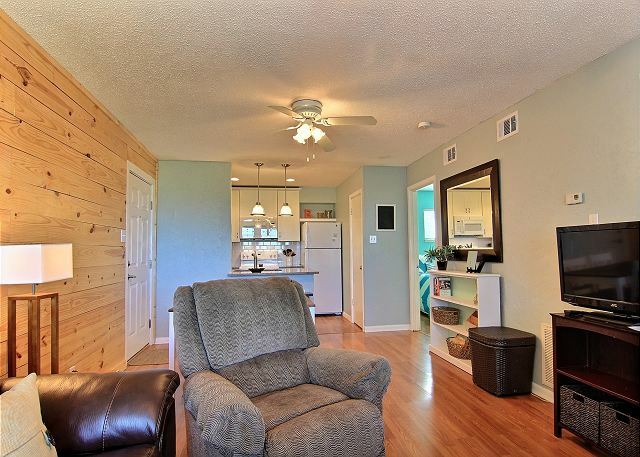 Spacious deck for great sunrises and Gulf views! First but not last stay for us in Port Aransas. We had a wonderful experience at Beach Head. The heated pool was a definite plus. We took the Boardwalk every day to walk the beach. The game room was a nice place for those colder days we experienced. Kitchen was well stocked. We would have definitely re-booked for 2020, but unit is not available. Port A Escapes has helped us find another unit for 2020. Can't blame anyone for the rainy/windy weather, nor for the fact that everyone is still recovering from Hurricane Harvey. All in all, it was very nice! Cute and clean! Would recommend and will definitely be back next summer! 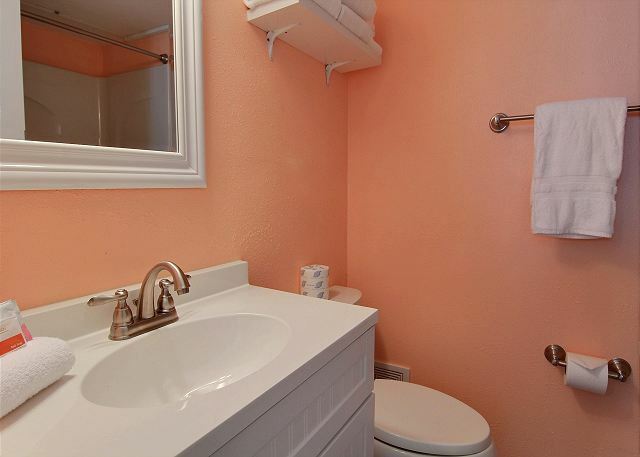 Very nice condo, clean and decorated cute. Great view of the beach. We had a fabulous time and the condo was perfect. It was neat, clean, and accommodate me and my guest well. We will be back! Thank you! We enjoyed a month here. Port A is recovering from Hurricane Harvey so we knew not everything would be in pristine condition. 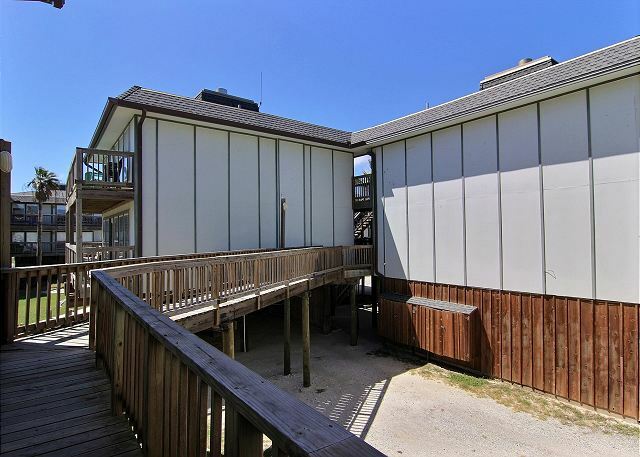 The condo was very nice with a balcony overlooking the dunes and a small slice of the water. We enjoyed our time there. The bathrooms were quite small but serviceable. Furniture was comfortable. This is one of the nicest units at Beachhead condominiums. Nice furniture, layout, decor, and so clean!!! The room was immaculate!!! We will definitely rent this room again! Was a great location close to the beach. The condo was nice and there was enough room for everyone. 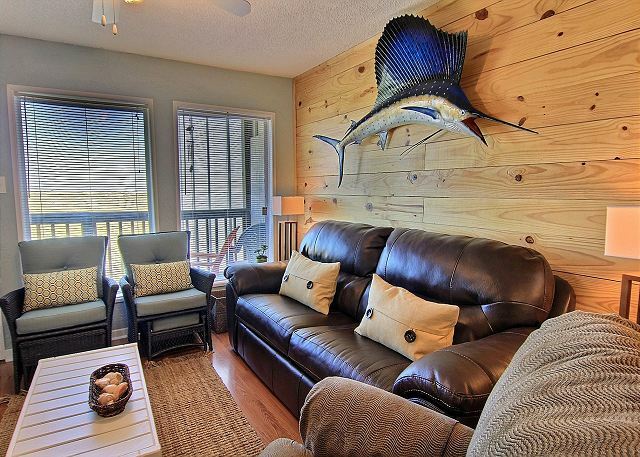 We had a great weekend at Beach Head Condos. Perfect for a couple and up to 3 kids. Great balcony. Quick walk to beach over boardwalk but beaches are nicer further away from town. We rented a golf cart and that was great. All kitchen supplies are there. Decent pool. In town. Would stay there again if view was closer to beach or on 3rd floor. Stayed in Sea Gull 7/30-8/3. Exactly as it appears in the on-line photos. Everything worked, no problems. 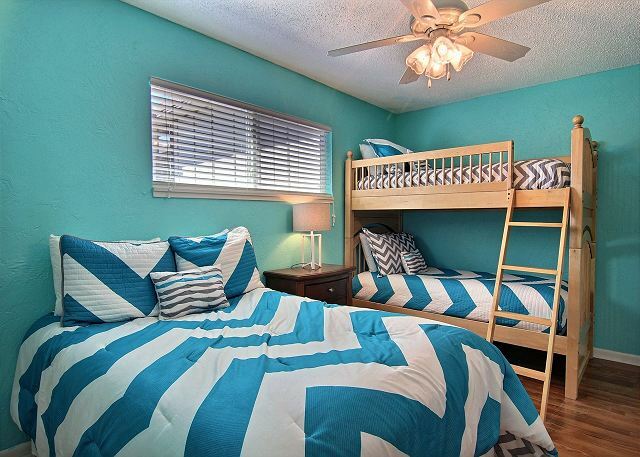 Very comfortable bed in Master Bedroom; kids loved the bunk-bed setup in 2nd room. Even the couch (which is also a fold-out bed) is comfortable to sleep on. Note: the sun comes up on the side of the master bedroom, which was fine for us... got us going in the mornings. But, if you want to sleep in, that may be a bit difficult. 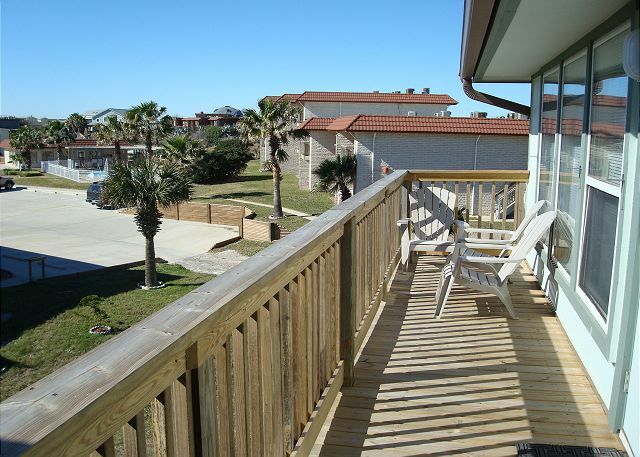 We stayed at Beach Head condos last year (in Sandy Feet- Master bedroom faces away from sunrise) and had yet another wonderful experience in Port A. Beaches were clean- no seaweed or jellyfish. Kids also enjoyed playing in the play area in the evenings, and the community pool was very nice and clean. 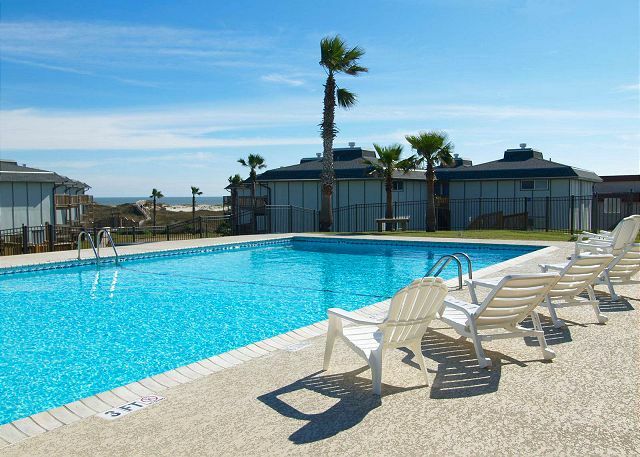 The folks who run/manage the BH Condos do an excellent job, and Port A Escapes makes the whole process easy and hassle free. Beaches are a short 5-7 minute walk and if you need to run into town for supplies, stores are close by, as are restaurants. Again, we enjoyed it and had a great time... we'll be back next year! We are glad to hear you had a wonderful experience with your condo and our management company. We are looking forward to you coming back again next year. Well kept place, super cozy. The beach was just over the back hill. Highly recommend!! 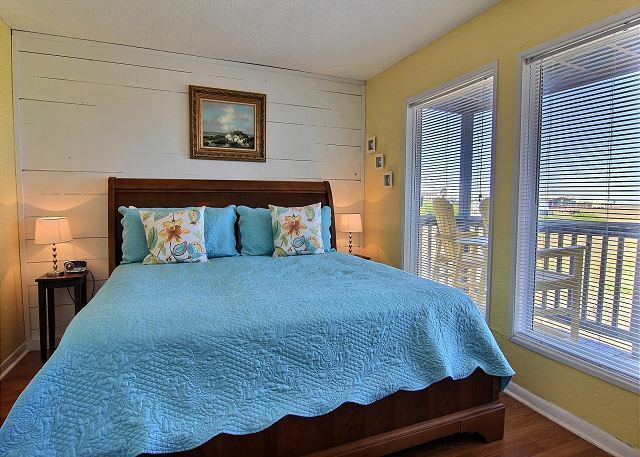 Nicely decorated condo - closest to Boardwalk to beach. Enjoyed The Seagull unit which is one of the most updated Beachhead units which are located on the beachfront. 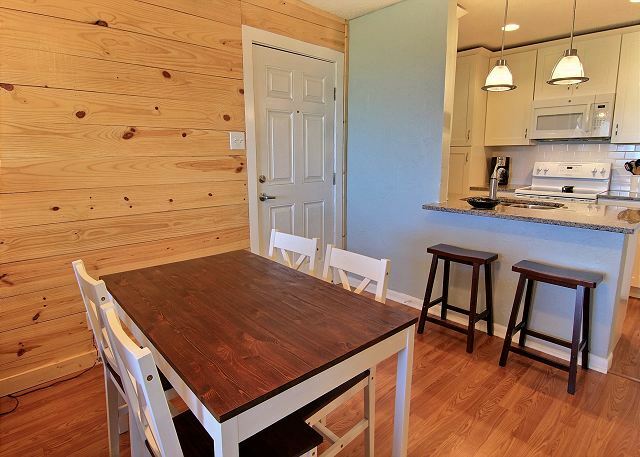 Nicely decorated with fully stocked kitchen. Nice to have 2 TVs so kids can watch on one and adults on the other at night. (We were mostly on the beach.) 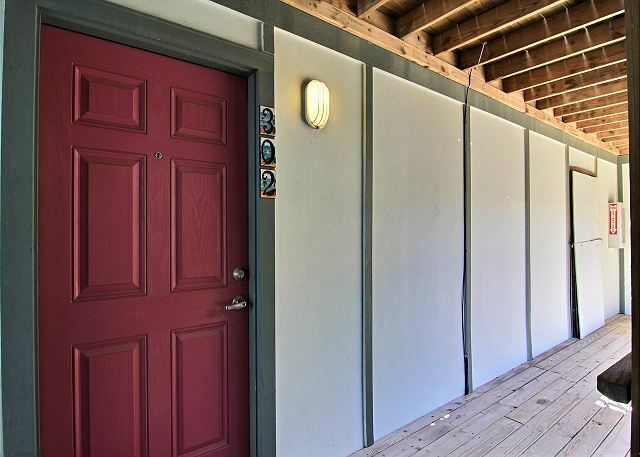 this unit is closest to Boardwalk entrance. If you are not an early riser, don't sleep in the master bedroom because the blinds do not block the daylight streaming in by 6 a.m.! Also, nice to be close to stores and restaurants. Beachhead condos are in an ideal location with beautiful views of the gulf, and a short drive to restaurants and shops. 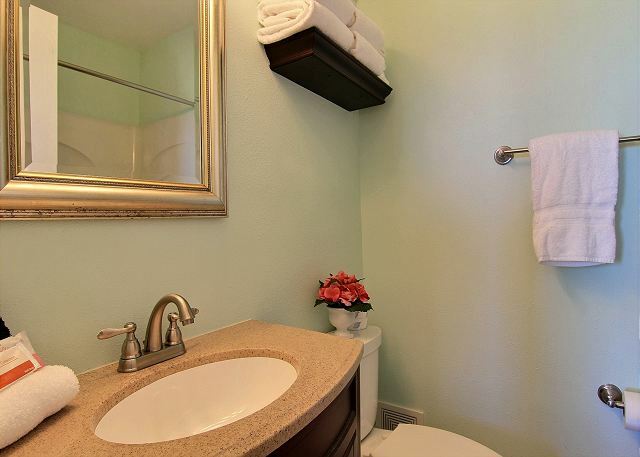 The property is very well maintained and our condo was beautifully decorated and very comfortable. We felt right at home preparing meals in the fully renovated kitchen, playing games around the kitchen table and sleeping in the comfy beds. The sunrises and sunsets were amazing from our balcony. Port-A Escapes provided excellent customer service and communication from booking through check-out. We hope to return soon! the bunk room and the super clean pool. Master bed was very comfortable. We are glad to hear you had a wonderful time and enjoyed your condo. We will inform maintenance of the door issue and have it resolved quickly. 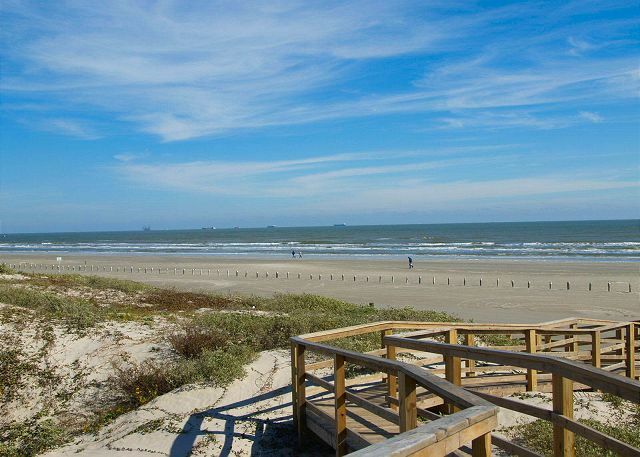 Just give us a call when you are ready to come back to Port A. We enjoyed our stay but there are a few things that would have made it better. 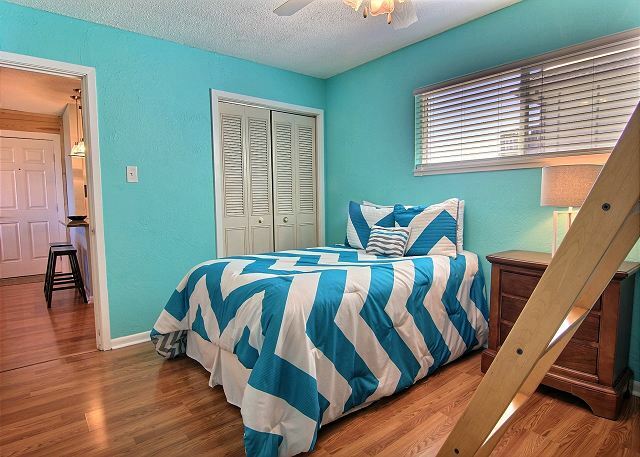 The master bedroom in this unit is VERY bright early in the morning. Some curtains or better shades would have made our stay much more pleasant. We had hoped to sleep in but the sun woke us up by 7am. The internet did not work during our stay. Sometimes the network would appear and then disappear. This happened on multiple devices. We called & asked for the router to be reset but I'm not sure that this happened. At any rate, we did not have internet access during our stay so had to create a hot spot on our iPhones. It would have been nice to have Salt & Pepper and maybe coffee for the first day. Most rental places where we've stayed in the past have a few of the essentials. A broom or vacuum would have been nice, as things get pretty sandy - even taking our shoes off outside the unit. I do like to keep things clean! :) Other than those changes, we enjoyed our stay, the unit was clean and comfortable and we loved being so close to the beach. We would come again! The condo was immaculant. Everything we needed was right there. Great views from the deck. Loved the decor and the location. We will be back again! Thank you for sharing your vacation home with us. Many blessings! Adorable beach cottage feel. Loved the easy beach access. Only drawback was the 4 pm check-in. Since so few people were checking in on a Sunday afternoon, it seems our room could have been ready sooner. But the management staff was super nice about everything. I only gave 4stars for the furniture because the recliner wasn't in good shape. With the baby, we needed a good rocker. But it was still comfortable and the rest of the place was great!!! We had 4 adults, 1 84-year old, and 1 5-month old. Everyone was super happy with the trip and loved where we stayed. 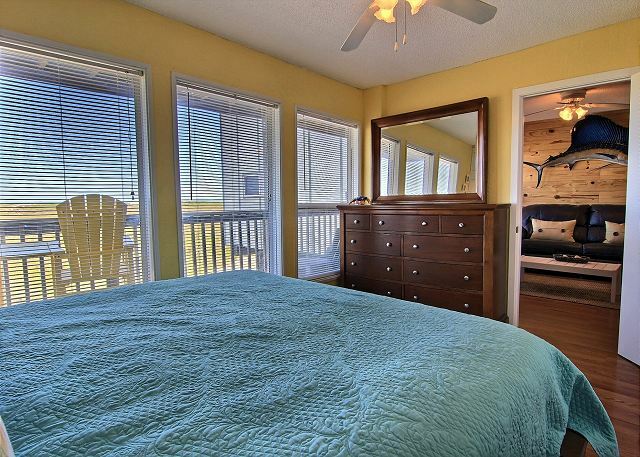 I think the Master bedroom was top notch - so pretty , super comfy bed and pillows, beach view! I didn't want to leave! 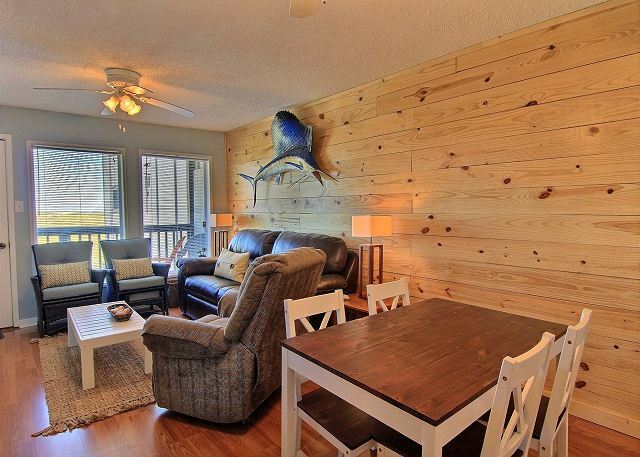 This condo was great for our family of 3 and grandparents. 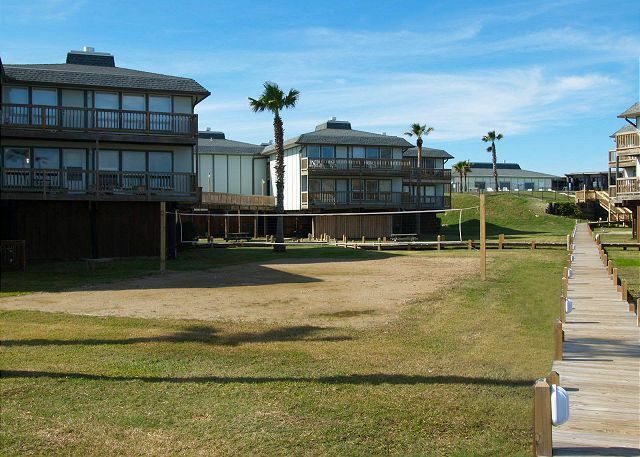 Nicely decorated, well equipped and an easy walk to the beach. Perfect place to stay with the whole family! Spotless clean place! Kids and adults loved it. 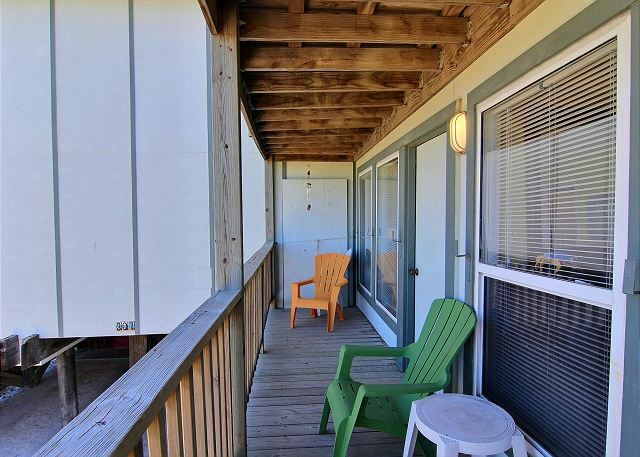 Just a few feet from the beach if you don't want to spend extra on beach parking. Just a few suggestions: make it easier to find (Pirate's Bay cottages are at the back of a lot, next to a motel and we drove back and forth looking for it (in the dark). A lighted sign would have been very welcome! We also thought the check-out time of 11:00 AM was too early on Saturday morning and we had to hustle to do everything by that time. Maybe a dropbox for keys on the property would have been helpful as we had to hunt down the Port Aransas Escapes office. But overall, we had a great time and would go there again. 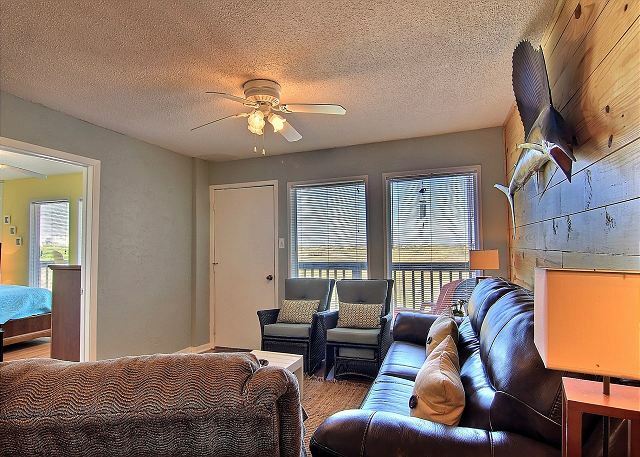 This condo was a great home away from home for our family. The condominium itself was very welcoming. My family and I had a wonderful stay and plan to return. Very close the the beach and to restaurants. The pool was wonderful and far enough from the condos that you could not hear the people there. It was a ver quiet stay. We loved it! Very relaxing. Easy access to the beach. Only issue was that the sign to the complex was not illuminated for night arrivals. We stay with this complex every year and are never disappointed. I love the location, right next to the beautiful beach. The condo is clean and very nice.Comfortable decor and comfy beds. The pool is nice and the grounds are clean. 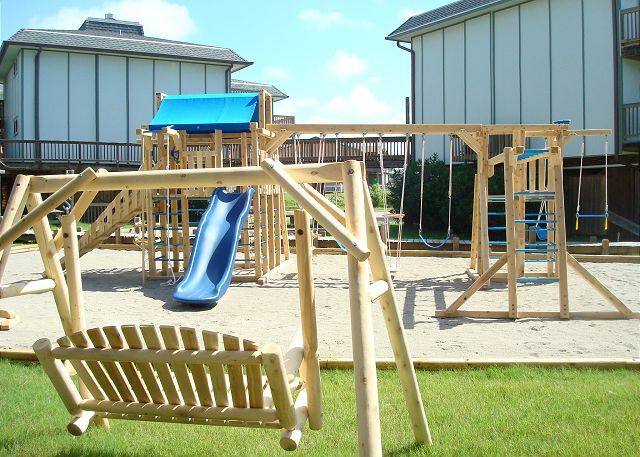 We enjoy the playground and enjoy cooking out on one of the grills on the property. I like the new gazebo that has been installed since we were there last. I would definately recommend this place and I do all the time. This was one of the best stays by far. 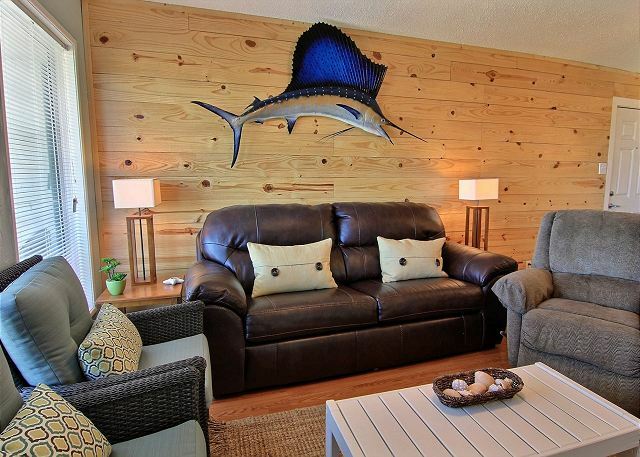 The location is perfect for fishing, beach fun and convenient to all the shops on the strip. 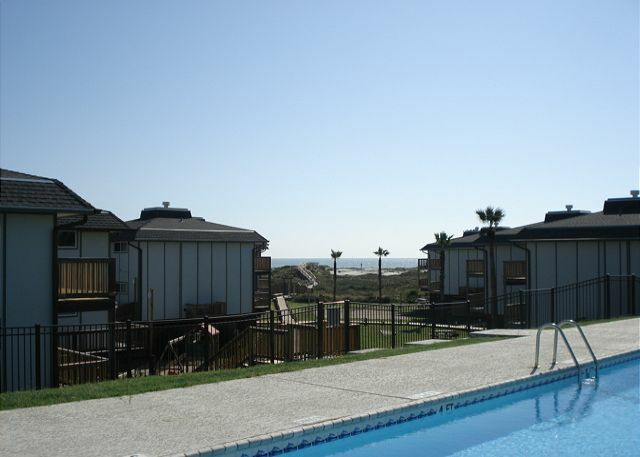 My family and I had a memorable stay, and we are already planning on another visit to Port Aransas. It's clean and on the beach. This was my second time and we loved it. Went down for the 4th and had a Blast!!!! Everything was Great. It was very pleasant and clean. Highly recommend my unit to anyone wanting to chill and relax. Nice thing was I was able to walk to each location I wanted to go to. The place was centrally located to everything I needed. we had a great stay. very pleasant. 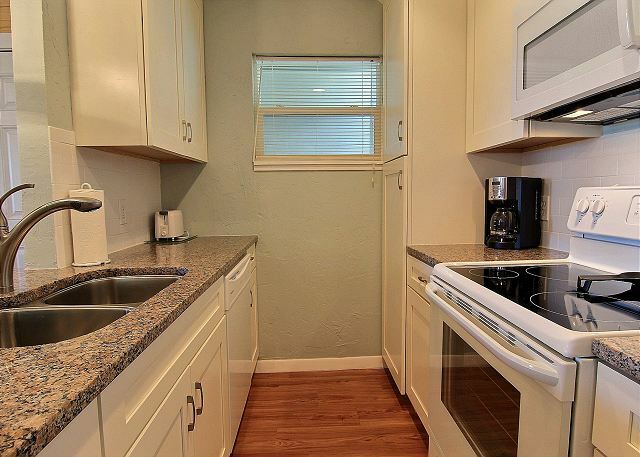 The unit was nice but very dated, especially the kitchen. When we tried to open the curtains in the bedroom, the rod fell on us. We also had a little trouble with the dishwasher, but finally got it going. Also, the master bedroom was small and very dark. Other than that, it had a great location and view and we thoroughly enjoyed ourselves. The 2 units we rented need more cloth kitchen towels, kitchenware, and silverware. Also needs more toilet tissue depending on length of stay. Overall a little expensive compared to neighboring properties unless 7th day returns to being free. Great place though! I will recommend to all my friends and relatives. Great view and clean place. This was our second stay at Beachhead. We really like the location and the complex. 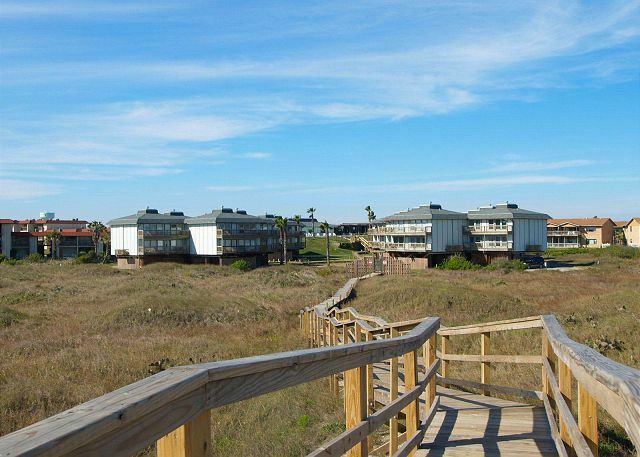 The beach is in view and just a short walk along the boardwalk. Beachhead is very family oriented and relatively quiet-except for the sound of the waves. We enjoyed our month at Port A very much. Brenda, Cynthia & Jason were all very pleasant and accommodating. It would have been helpful to have printed info on the complex and community (use of phone in unit, beach parking fee, activities at community & senior center, location of grocery stores, hospital, churches, theatre, perhaps even recommended restaurants). We learned much from the cable station due to being iced in for 2 days, and explored on our own until we met other guests midway in our stay at a morning coffee. This was a wonderful place to stay. The condo was immaculate and everything we might have a need for was at our fingertips...even a night light.